As of 2014, more than 20,000 Adverse Events have been recorded with an estimated 200 plus girls dead worldwide due to the Gardasil and Cervarix vaccines. But they prevented many others from dying as a result of cervical cancer, right? Sadly, no. These vaccines have not actually been proven to prevent cervical cancer. Even worse, despite the FDA's own research, Gardasil shots are being mandated by more and more gov't agencies as a requirement for America's young girls. How many more will be forced to suffer or die before this is stopped? Properly inform people about this (or any) vaccine and then let them make an informed choice. Whenever someone tells you there is a 'scientific consensus' that these vaccines are safe and effective, your hair should bristle. To quote the late, great, writer, Micheal Crichton, "Historically, the claim of consensus has been the first refuge of scoundrels; it is a way to avoid debate by claiming that the matter is already settled. Whenever you hear the consensus of scientists agrees on something or other, reach for your wallet, because you're being had." Comment: Before getting vaccinated read the vaccine inserts and if you still think the benefits out weigh the risks read it again. Consider reducing television time - which is programming and the method used to brainwash and indoctrinate. Keep kids safe from vaccines and brainwashing. Getting vaccinated will feel only like a pinch, the U.S. surgeon general assured Sesame Street's "Elmo" character last week. The California measles outbreak is officially over, but Surgeon General Vivek Murthy urged Elmo to get vaccinated in a video released by the Obama administration Friday. "It's my job to make sure everyone stays healthy," Murthy tells Elmo in the video. "Get all your vaccinations in time" to stay healthy, he continued. "Don't worry, Elmo, it's just a little pinch and it's safe. 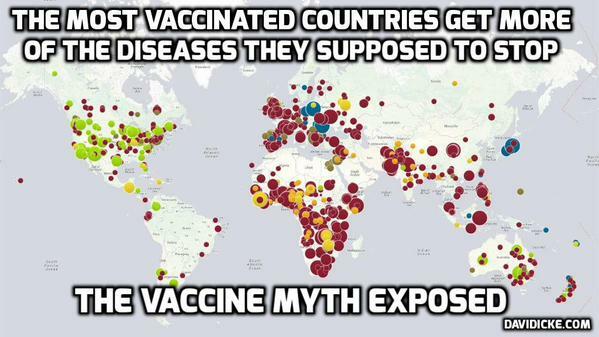 And tell all your friends on Sesame Street to get vaccinated too." “Prime Minister Tony Abbott and Social Services Minister Scott Morrison will today announce the historic reforms, which mean parents who fail to immunise their children will no longer be paid the $200-a-week childcare benefit, the $7500-a-year childcare rebate or the $726 Family Tax Benefit A annual supplement. Thirty years ago, I worked in the vaccine industry as a quality control Ph.D. scientist. I was responsible for testing vaccines and assayed them regularly to look for contamination in accordance with FDA regulation. I found contamination and then personally experienced the industry's corruption to cover up these issues. I will never forget the horror and disdain that I felt when they told me, "This vaccine is all over the world; it's too big to recall", and "Don't worry, we will send the rest of that batch to the Third World." I reacted strongly, and I was abruptly removed from my position. - Beverly Rubik, Ph.D. MOST IMPORTANT to CONSIDER: We do NOT recommend that anyone participate on the Federal Register solicitation of written comments on the Draft National Adult Immunization Plan. Public recomments do NOT make public policy, however, public comments DO provide important information for those that craft propaganda to drive corporate polices and agendas. OUR public comments are taken to the public relations departments to craft and create corporate spin to "neutralize" what the public is saying . . . The policies the public are told they can participate in by providing public comment are policies ALREADY in place. WE are continuously DELPHIED aka the RAND Corporation's mind control technique to advance national and International agendas through polices that are ALREADY being advanced upon the unwitting populations . . . The skillful techniques that have been launched upon the global populations have continued to trick even the best and brightest of the people. If we want to WIN we MUST challenge the corporate authority and STOP being Delphied into submission by an extremely predatory corporate construct. Then go to the Vaccine information here: Vaccines / Autism - http://stopthecrime.net/vaccines.html You will learn the Government is our Parent - "Parens Patriae" this is on the CDC website . . Above all keep in mind the CDC is the face of Rothschild . . . Search - Center for Disease Control and Prevention and Rothschild . Vaccine Mandates - "Parens Patriae"
RIGHTS over PARENTS - CDC - Website - Vaccine Mandates - "Parens Patriae" . . .
"Neither rights of religion nor rights of parenthood are beyond limitation. Acting to guard the general interest in youth’s well being, the state as parens patriae may restrict the parent’s control by requiring school attendance, regulating or prohibiting the child’s labor, and in many other ways. Its authority is not nullified merely because the parent grounds his claim to control the child’s course of conduct on religion or conscience. Thus, he cannot claim freedom from compulsory vaccination for the child more than for himself on religious grounds. The right to practice religion freely does not include liberty to expose the community or the child to communicable disease or the latter to ill health or death. (321 U.S. at 166–7, 64 S.Ct. at 442)"
the government, or any other authority, regarded as the legal protector of citizens unable to protect themselves. the principle that political authority carries with it the responsibility for protection of citizens. Each one of us, including our children, are considered assets of the bankrupt United States which acts as the "Debtor in Possession." We are now designated by this government as "HUMAN RESOURCES," with new such resources being added (born) continually. The bankruptcy is a receivership, rather than a discharged bankruptcy. The bankruptcy debts are serviced, not paid or discharged. The Human Resources service the debt, which continues to grow with time. The federal government, under Title 15, U.S.C., re-delegates federal Parens Patriae authority to the state attorney generals. The attorney generals' can now enforce all legislation involving your personal life, the lives of your children, and your material assets. In today's society the government, through the doctrine of Parens Patriae, has already instituted its control of our children through the legislative process. Medical treatments are enforced through the court with threats of loss of your child if the treatment is challenged. Vaccinations are now mandatory. Refusal may result in the loss of your child under the guise of "child neglect" (failure to preserve the trust corpus). If you spank your child or cause him/her any embarrassment or indignities, you are also at risk of having your child taken from you under the guise of child abuse (damaging the trust corpus). Some states have legislation either pending or passed to give social workers arrest authority. School nurses may now report any suspected child abuse to the proper authorities. Warrantless searches of your home are tolerated by the courts, all in the name of safety for the child. The Sun Sentinel, a Florida news paper, reported on March 15, 1996 that limits on the ability of divorced parents to relocate when minor children are involved were clarified by the Florida Supreme Court. The high court three years ago approved a policy favoring relocation requests of custodial parents as long as such moves are made in good faith for the well being of parents and children. Also, the justices ruled at that time, moves cannot be made "from a vindictive desire to interfere with the visitation rights of the other parent." The right of locomotion is held as an element of personal liberty. Restraint upon the right of locomotion was a well-known feature of slavery abolished by the Thirteenth Amendment. A first requisite of the right to appropriate the use of another man was to become the master of his natural power of motion. The control by government courts (supra) of an individuals' freedom of locomotion could be construed as a sign of ownership of the individual, or slavery. It has been reported that in California, early in the year 1996, an assembly woman, in regard to education policy, made the statement "the children belong to the STATE." STATUTE- Sections 15c, 15d, 15e, 15f, and 15g of this title shall apply in any State, unless such State provides by law for its non-applicability in such State. The primary responsibility of a State is to protect it's citizens from the tyranny of the federal government. The Federal Constitution claims a citizen can seek redress and protection under the 14th Amendment of the Federal Constitution for any state legislation that brings them an injury by depriving them of a civil right. A state may sue the Federal government for protection for its citizens if federal legislation violates the Constitutions of the several states and brings harm to its citizens. The 14th Amendment did not authorize congress to create a code of municipal law for the regulation of private rights. Positive rights and privileges are undoubtedly secured by the fourteenth amendment, but they are secured by way of prohibition against state laws and state proceedings affecting those rights and privileges. The amendment was intended to provide against state laws, or state action of some kind, adverse to the rights of the citizen secured by the amendment. Such legislation cannot properly cover the whole domain of rights appertaining to life, liberty and property, defining them and providing for their vindication. That would be to establish a code of municipal law regulative of all private rights between man and man in society. It would be to make congress take the place of the state legislatures and to supersede them. However, the Supreme Court in the above case ruled that: A State may not, as Parens Patriae, institute judicial proceedings to protect her citizens (who are no less citizens of the United States), from the operation of a federal statute upon the ground that, as applied to them, it is unconstitutional. The Parens Patriae power has been recognized and exercised from time immemorial as being under the rule of a tyrant. "Healthy People 2020". Sound similar to all the other 2020 plans? We are the 'resource' being managed . . .
racial and ethnic disparities also exist. set standards and inform future implementation and quality improvement efforts. Goal 1: Strengthen the adult immunization infrastructure. Goal 2: Improve access to adult vaccines. Goal 3: Increase community demand for adult immunizations. Goal 4: Foster innovation in adult vaccine development and vaccination-related technologies. Achieving the goals of the NAIP is facilitated by agreement on plan priorities and coordination of the wide range of programs that support them. The Assistant Secretary for Health serves as the director ofthe National Vaccine Program and will lead the NAIP and its implementation. In support of this mission, NVPO will facilitate collaboration and coordinate the monitoring of progress for the NAIP. The campaign is on to eliminate vaccine exemptions. 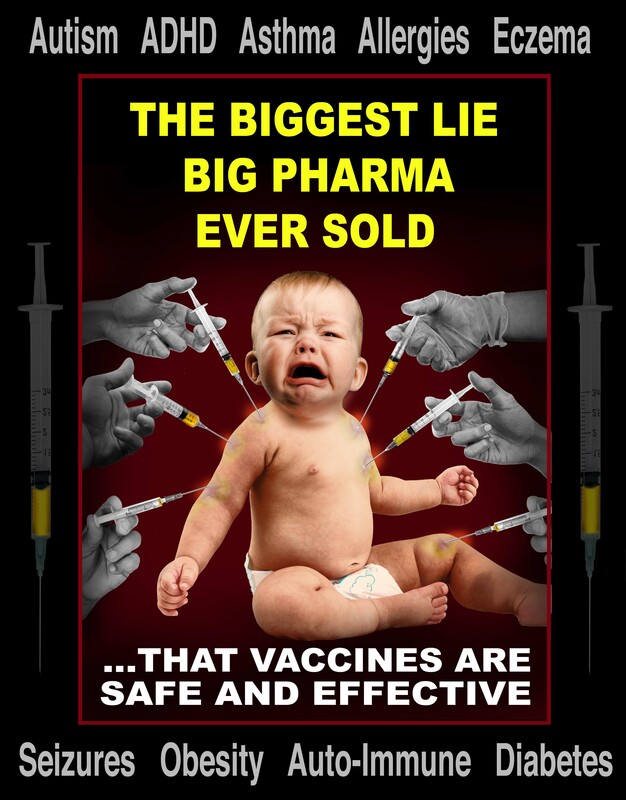 It is a perfectly sound 'business' plan for Big Pharma to lobby legislators for the removal of vaccine exemptions. It has been done for many years and Big Pharma has a huge amount of money to put this campaign in motion. See Profits, Not Health, Motivate Mandates. Let's face it, unless you have money to put in their hot little hands, your opinion means nothing to them. Newbies to 'lobbying' may not yet understand or accept this fact. Veterans like Kristine Severyn, Ingri and I have watched this play out over many years. Also, if pockets of vaccine-aware parents can be located demographically, news stories can be planted in their local media to falsely create a problem which may or may not be real. As Jon Rappoport reported regarding the so-called "measles outbreak"
Now some folks are recommending that people sign a petition on the WhiteHouse.gov website calling for a study to be done by the CDC. These folks might be new to this topic and are unaware of what has transpired over many years and has been exposed recently by Dr William Thompson, CDC whistle blower. There is no question that the controllers of the CDC know there is a connection between vaccines and autism. They have known for years and have deliberately been covering it up. So, why ask them to do a study? When you sign petitions, you give your name and demographic location (zip code). By doing this you help them locate the pockets of resistance so they can plant stories in these areas. It not only doesn't help, it hurts. The WhiteHouse.Gov petition web site was not set up to help the 99%. It was set up as a data collection devise so the population's real concerns could be identified, their demographics analyzed and the appropriate propaganda could be 'crafted'. And we volunteer the info. They don't even have to pay for polls or surveys. Would a legitimate representative government pull such a stunt? Of course not, but a federal corporation would do exactly that. Time to grow up America! Look around you and look at your lives! They have eliminated the family farms and local stores; placed us into cities; gave our industry away to break the unions; issued valueless currency and stole our gold and silver; raised taxes and stole their paper currency back; involved us in staged wars; began a mass fore-closure of American homes and poisoned our air and public water! The debate has to be moved away from making demands on the CDC - as if they could be trusted - to exposing them for the liars, cheats and thieves they really are!! Consider this: The CDC reported on those on the naval ship that were fully vaccinated that came down with the flu and tested positive for the strand they were vaccinated against. This has happened more than once and is not a freak accident or coincidence. And if contracting a disease or even vaccinating equals an immunity, why is there a such thing as shingles, SV40 or the need to re-vaccinate? Or the fact that viruses, such as HHV6, can hide in your genetics and passed down to offspring? Or being vaccinated means you can still spread the disease and some vaccines leave you to shed the virus or even come down with the disease (atypical measles)? "The presence of rubella IgM and IgG antibodies in pregnant women predisposes babies to congenital rubella syndrome and emphasizes the need for the initiation of a national rubella vaccination program in Nigeria." LOL! Antibodies (the same thing vaccines are meant to trigger our bodies to make) are the reason they need to start a national vaccination program and there were even a few mothers that said they were vaccinated. If you want to say it was IgM antibodies that is more indicative of a recent infection, think again. In vaccinated populations, there is a belief that IgG titers are more accurate. (2nd link below) Yes, the same test that most do to show an infection is the same test that shows an immunity. And the same positive result shows both immunity and infection. It is a fact that the body will not produce antibodies unless it comes into contact with the antigen. To assume that the unvaccinated are contagious, is to assume they are full of the virus and immune to the disease. If the unvaccinated have no signs, or symptoms and are not dying from the virus they are supposedly carrying, this would be the ultimate immunity. Isn't this the objective of vaccines to impart such an immunity? So really, forget the virus itself, this pro-vaccine movement is about a human becoming a threat only if they have not produced the antibodies as a sign of a recent infection. Vaccines carry a virus and chemicals. A person's body does not produce antibodies for fun, but because it is necessary to clear an infection in the body. Antibodies, which are what the vaccine theory is based on, does not equal an immunity. You can still catch the disease, have the virus in your body even dormant and have antibodies to it. You can spread the disease too. Plus, usually the higher antibody count means a higher viral load. This antibody/vaccine theory is not unlike believing that the more pus in a wound is the sign of a cleared infection. With the fear and hysteria, it is likely that babies and immunocomprimised could be treated as a threat to society in the future, regardless of the reason they are unable to be vaccinated. For the greater good, means sacrificing and discriminating against anyone that poses or is perceived to pose a threat to the greater good. Media propaganda comes to zero tolerance: No antibodies, no 'immunity', no rights. (But you can carry any virus, because the focus is on antibodies). The holocaust, Spanish Inquisition and many witch hunts were started through fear, ignorance and the greater good belief that an groups rights supersedes an individuals rights. Vaccines are artificial means to modify our bodies and we should have a right to say no without being tracked or discriminated against. Without this right, the transhumanism movement (with the exponentially growing technology in genetics (eugenics), bioengineering, nanotechnology, etc) could lead to unaltered humans becoming second class or worse. Corn that is genetically modified to produce its own pesticides is accepted practice. So are three parent babies.... When the time comes, babies that are genetically modified to be born with antibodies, superhuman abilities (like the need for less food or water, produces lower CO2, EMF tolerant, etc) will be the norm. Actually, the path we are on will make it the duty of all citizens to stop suffering and no longer produce 'natural' babies or to continue to modify the ones we have. It is undeniable that vaccinating against influenza is good for patients. As luck would have it, vaccinating against influenza is good for the financial health of your practice as well. For example, let’s calculate monies generated for administering influenza vaccine for a doctor with a panel of 2,000 patients. We’ll be conservative and consider that only 1,000 patients will get their influenza vaccine in your office. Some of the 1,000 not receiving the vaccine in your office might be infants younger than 6 months of age and not eligible for the vaccine, and some patients will go to retail-based clinics or refuse the vaccine. I know you are all financially savvy and you have purchased influenza vaccines at the lowest possible price. This would be from a group purchasing organization or directly from the manufacturer. The fee you receive has been set by your contract with each managed care organization and you are seeing a 10% to 25% profit. If your practice purchased the vaccine at approximately $10, the profit on these 1,000 patients will range from $1,000 to $2,500. Additionally, you are receiving a vaccine administration fee, which should range from $14 to $30. This amounts to $14,000 to $30,000 for the 1,000 patients. Furthermore, in my practice, we do not vaccinate if a patient has not received a well visit in the last 12 months. If 100 patients who call for a flu shot ending up scheduling a well visit, you should be generating an additional $10,000. Bottom line: $25,000 to $42,500, which is not bad! Excerpts - Distribute Flyers - Booklets, Fact sheets, posters - links to useful websites. CDC materials are not copyrighted and can be downloaded, copied and distributed. On this site you will find a variety of educational information about vaccines and the diseases they prevent. For each vaccine, you can access information about who should receive the vaccine, when it should be administered, and what patients or parents should know about it. Immunization providers can also find more general information on vaccine administration as well as tips on how to talk to your patients about vaccines and address their concerns. The information is in various printed formats—flyers, booklets, fact sheets, posters—and includes links to other useful websites. CDC materials are not copyrighted and can be downloaded, copied, and distributed to patients. Some items can be ordered through an online ordering system. Immunization educational materials are intended to complement personal education and advice from the healthcare provider. Informed patients, working together with their healthcare providers, are the "key players" in keeping themselves and their children healthy and protecting the health of the public. Materials That Can be Used to Educate Patients . . .
PRESS RELEASE - ALERT - Parents and EVERYONE ELSE - See the Press Release below - this is your FREE flyer to download and Distribute to ALL . . Informing of Vaccine DANGERS! A Washington state lawmaker introduced a bill Wednesday that would remove the personal belief allowance for an exemption in that state. Public health officials believe an immunization rate of at least 90 percent is critical to minimizing the potential for a disease outbreak. California's kindergarteners met that threshold at the start of this school year, according to state statistics: 2 percent were exempted because of their parents' personal beliefs and another half a percent were exempted because of their parent's religion. VACCINES: Here's the proof. The vaccine insert for MMR says its gives you measles and can kill you . . . WARNING - a SUPER Super Flu Vaccine . . . listen to the end of the video to hear the TV announcement . . .
inserts . . . and watch the YouTube "Lethal Injection" . . .
Use of Data Collection on various doctors Immunization rates, Review Goals to 'Sustain' Immunization rates, Incentives/Bribes, Teamwork/Bullying, publicize immunization efforts in a newsletter (Shame'em), Provide funding for other rewards for provider staff (More Bribes), Small tokens of appreciation, Hand-out resource materials (indoctrination/propaganda), Send out reminder notices to patients (Harasses), Compete with other doctors to increase immunizations, and compete with other states, Motivate/Educate (Indoctrinate), make use of electronic newsletters to get information out, (more Harassment), site reason of deficiencies, report patient subsets, use data collected from an immunization registry, use and report data collected during an office visit for further analysis (Yikes - FURTHER ANALYSIS), Use studies of private pediatricians to document improvements in immunization rates, increase number in the adult population assessments, Data collecting and Record keeping are vital, Immunization records should meet ALL legal requirements. Excerpts Below: Recommended to read entire link above . . .
Vaccine-preventable disease rates in the United States are at very low levels. In 2009, only 71 cases of measles, 3 cases of rubella, no cases of diphtheria, 18 cases of tetanus, and no wild-type polio were reported to CDC. Given these immuni- zation successes, one might question the continued interest in strategies to increase immunization levels. Immunization levels are a better indicator for determining if there is a problem with immu- nization delivery, and this chapter will focus on increasing immunization levels and the strategies healthcare providers can use to do this. Childhood immunization rates are still suboptimal. In 2009, for example, only 85.7% of children 19 to 35 months of age had received four doses of DTaP vaccine. For other age groups, immunization rates are considerably lower than those for early childhood. According to Behavior Risk Factor Surveillance System data from 2005, a median of only 65.5% of persons 65 years of age and older received the influenza vaccine in the past 12 months, and 65.7% had ever received pneumococcal vaccine. Economic and racial disparities exist. Low-income and minority children and adults are at greater risk for underim- munization. “Pockets of need” exist in our nation’s inner cities. Cost-effectiveness needs more research. More research is needed regarding which strategies increase immunization levels with the least expenditure so these strategies can be prioritized. Sustainable systems for vaccinating children, adolescents, and adults must be developed. High immunization rates cannot rest upon one-time or short-term efforts. Greater understanding of strategies to increase and sustain immuni- zation levels is necessary in order to create lasting, effective immunization delivery systems. Many strategies have been used to increase immunizations. Some, such as school entry laws, have effectively increased demand for vaccines, but the effectiveness of other strate- gies (e.g., advertising) is less well documented. Some proven strategies (e.g., reducing costs, linking immunization to Women Infants and Children (WIC) services, home visiting) are well suited to increasing rates among specific populations, such as persons with low access to immunization services. The CDC, through state and other grantees, administers a program designed to move healthcare personnel from a state of unawareness about the problem of low immunization rates in their practice to one in which they are knowledgeable, concerned, motivated to change their immunization practices and capable of sustaining new behaviors. The acronym used for this approach is AFIX: Assessment of the immunization coverage of public and private providers, Feedback of diagnostic information to improve service delivery, Incentives to motivate providers to change immunization practices or recognition of improved or high performance, and eXchange of information among providers. First conceived by the Georgia Division of Public Health, AFIX is now being used nationwide with both public and private immunization providers and is recommended by governmental and nongovernmental vaccine programs and medical professional societies. AFIX - Blend of advanced technology and personal interaction . . .
a provider’s office, and these data help to identify specific actions to take in order to remedy deficiencies. Outcomes are easily measurable. Second, AFIX focuses on providers, those who are key to increasing immunization rates. AFIX requires no governmental policy changes, nor does it attempt to persuade clients to be vaccinated, but instead focuses on changing healthcare provider behavior. Third, AFIX, when used successfully, is a unique blend of advanced technology and personal interaction. Much of the AFIX process can be done electronically, increasing speed and accuracy of assessment and feedback and streamlining reporting. However, the personal skills of the assessor and that person’s ability to establish rapport with and motivate a provider are critical to achieving lasting results. of teamwork, but longer-term goals must be considered as well. Since the effort to raise immunization rates may involve an increase in duties for staff, offering assistance in reviewing records or sending reminder notices might more directly address a provider’s needs. Incentives pose a challenge to the creativity of the program representative but also offer the opportunity to try new ideas. Finally, incentives are opportunities for partnerships and collaboration. Professional organizations or businesses have been solicited to publicize the immunization efforts in a newsletter or provide funding for other rewards for provider staff. Many other types of collaboration are possible; these also have the benefit of increasing awareness of immuniza- tion among diverse groups. has largely shifted from public health departments to private providers, who now vaccinate nearly 80% of children in the United States. Many of these providers participatein the Vaccines for Children (VFC) program, a federal program whereby funding is provided for state and other immunization programs to purchase vaccines and make them available at no cost to children who meet income eligibility requirements. Because immunization program staff make periodic quality assurance site visits to VFC providers, CDC launched an initiative in 2000 to link some AFIX and VFC activities and incorporate AFIX activities during VFC provider site visits. VFC program staff are encouraged to promote the AFIX approach and, if possible, to combine VFC and AFIX site visits. This reduces the number of visits to a single provider and helps avoid duplication of staff time and effort. In addition, it increases the emphasis on overall quality improvement for a provider rather than meeting the requirements of a single program. CoCASA can provide immediate results of the assessment, supplying the reviewer with the information needed for use in the feedback session and noting areas that need further follow-up. CoCASA saves the reviewer time and provides various analysis options. CoCASA reports provide estimates of immunization coverage levels and potential reasons for the coverage level, such as missed opportunities for immunization and patients who did not return to finish the immunization series. The program can generate reports on specific sets of patients, such as those mentioned. Data from an immunization registry or patient management system can be imported into CoCASA, and data collected during the visit can be exported for further analysis. Many recordkeeping tasks, as well as patient reminder/ recall activities, can be greatly simplified by participationin a population-based immunization information system (IIS), also known as an immunization registry. An IIS is a computerized information system that contains information about the immunization status of each child in a given geographic area (e.g., a state). In some areas, an IIS is linked to a child’s complete medical record. An IIS provides a single data source for all community immunization providers, enabling access to records of children receiving vaccinations at multiple providers. It provides a reliable immunization history for every enrolled child and can also produce accurate immunization records, if needed for school or summer camp entry. A goal of Healthy People 2020 is to increase to 95% the proportion of children younger than 6 years of age who participate in fully operational, population-based immuniza- tion registries. In 2009, approximately 77% of children in this age-group met this participation goal. Federal, state and local public health agencies are continuing their efforts to improve the registries themselves and to increase participation by immunization providers. Registries are a key to increasing and maintaining immunization levels and provide benefits for providers, patients, and state and federal immunization program personnel. More informa- tion about immunization registries is available on the CDC Vaccines and Immunization website at http://www.cdc.gov/ vaccines/programs/iis/default.htm. Psychological barriers to health care are often more subtle but may be just as important. Unpleasant experiences (e.g., fear of immunizations, being criticized for previously missed appointments, or difficulty leaving work for a clinic appoint- ment) may lead clients to postpone receiving needed vacci- nations. Concerns about vaccine safety are also preventing some parents from having their children immunized. Overcoming such barriers calls for both knowledge and interpersonal skills on the part of the provider—knowledge of vaccines and updated recommendations and of reliable sources to direct patients to find accurate information, and skills to deal with fears and misconceptions and to provide a supportive and encouraging environment for patients. Led by Gates and the usual suspects, GAVI’s mission is to “guarantee equal access to vaccines.” Since forty-three percent of GAVI vaccines are produced by pharmaceutical companies based in emerging markets, GAVI’s business model is designed not to save lives, but to increase business for the vaccine industry in countries not yet affected by pharmaceutical weapons. How exactly does one save lives by eliminating a billion people? Gates’ apologists’ claim that “If you lower childhood mortality, people have less kids and the rate goes down” – down to something presumably closer to the UN-approved 2.2 offspring per household. But aside from Bill and Melinda Gates, it’s hard to imagine three billion couples chatting about child mortality and Haemophilus influenzae virus type b when Cupid strikes. As the vaccine industry’s top cheerleader, Gates isn’t expected to consider the virtues and cultures that value children more than progressive Western cultures, where sterilization, contraception, vaccines and abortion are projected to exterminate the French, Italians and the English by the end of this century. But rather than encouraging the French to produce more children, Western countries facing extinction appear to be using vaccines to level the playing field by killing tomorrow’s enemies and economic competitors before conception. Share this with your family and friends. The more info folks have the better decisions they can make. Vaccine can carry serious risk. Ethyl Mercury should never be injected into children (Thimerisol, the most neurotoxic substance known to man).Research - the whistle blower from the CDC and his admission that the raw CDC data as represented in the 2004 CDC's MMR Vaccine was FALSE. . the MMR Vaccine showed that when black babies were vaccinated by 36 months they experienced 340% increase in autism . . .
A new study out by the RAND corporation. The RAND corporation is the Rockefeller founded think tank that cursed us with the Delphi Technique and "consensus science reports' and Alex Abella wrote a book exposing this nefarious unscrupulous think tank. Consensus science reports are soooo easy to expose as manipulated- outcome-predetermined reports. The Rockefellers played a big role in corrupting the medical profession. Russell Blaylock, MD did great research on them. 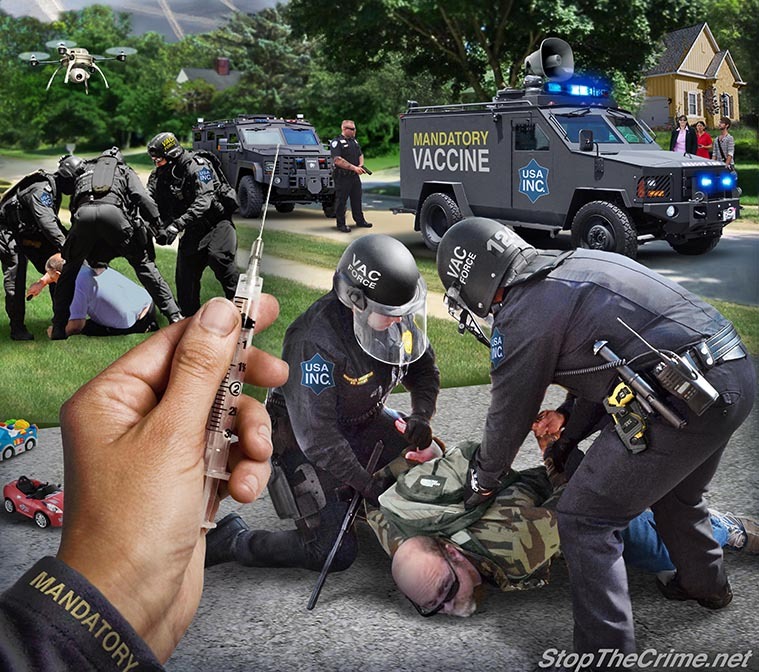 is dedicated to exposing the truth about vaccines, vaccine manufacturers, and the corporate state government. Vaccines are neither safe nor effective. Drug companies (who have been granted immunity from liability) have been lobbying state legislators for many years to mandate their vaccines be administered to our children as a condition of admission to our public schools. Vaccine 'mandates' are nothing more than statutes and statutes are merely the rules of the Dun and Bradstreet corporations that call themselves "government". You must NOT CONSENT and we will share ideas on how you can choose not to comply with the corporate mandate trying to require vaccinations . . . VACCINES - Researcher Caught Faking Research; Vaccine Industry Riddled with Scientific Fraud . . . Vaccines - MORE Warnings . 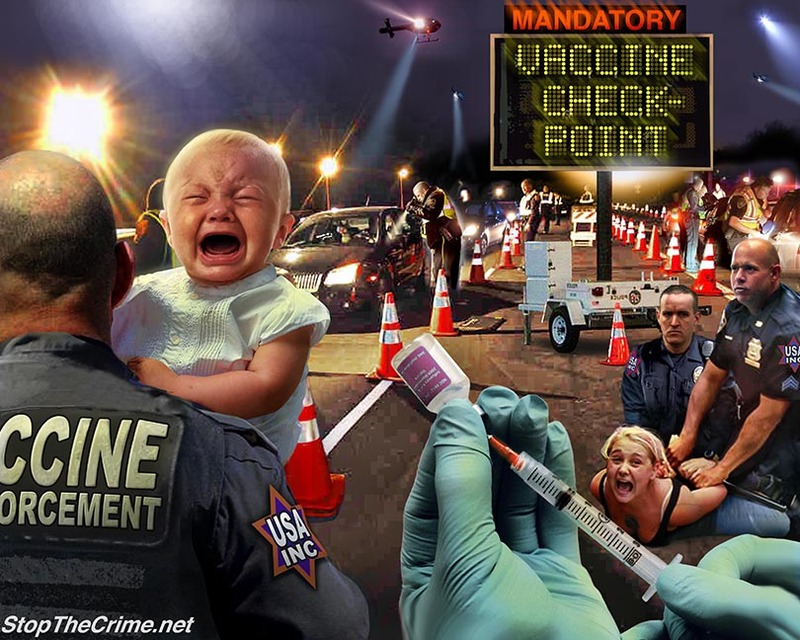 . .
H1N1 - Swine Flu Shot Vaccination -Depopulation is Now Up! BILLBOARDS Along Roadways - They Want You Dead! Not vaccinated? No kisses! Read the NASA WAR Plan . . .Also, read the "Silent Weapons Quiet Wars" and you WILL learn about the silent weapons being used on us - this is a policy of Slavery and Genocide . . . Vaccine Resistance Movement . . . The List of State Legislators who "Betrayed Parents" by Voting for Mandatory Vaccine Laws AB2109 and AB499 . . .